A flanged sleeve in 300mm and 450mm square modular sizes used as an interconnecting sleeve between other modular accessories. 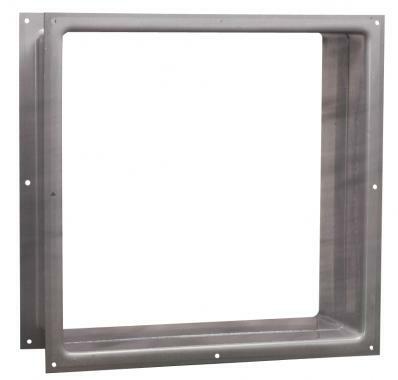 Mounting boxes will accept the depth of a unit and can be mounted in conjunction with a Fixing plate and Eggcrate grille for ventilation through ceilings. Manufactured in flame retardant high impact recyclable thermoplastic. A flanged sleeve in 300mm and 450mm square modular sizes used as an interconnecting sleeve between other modular accessories. Mounting boxes will accept the depth of a unit and can be mounted in conjunction with a Fixing plate and Eggcrate grille for ventilation through ceilings. Manufactured in flame retardant high impact recyclable thermoplastic. Duct length 200mm.